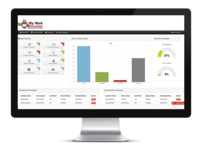 THIS APPLICATION IS IDEAL FOR COMPANIES THAT DO CUSTOMER SERVICE WORK OFFSITE. 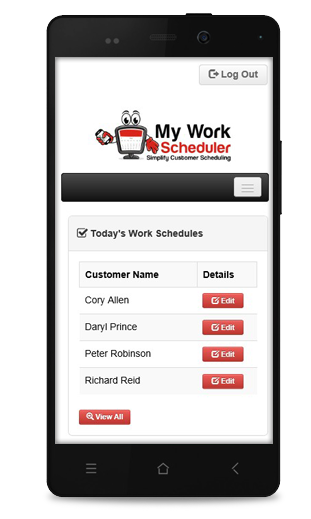 The 'My Work Scheduler' is designed to simplify and enhance the scheduling of customer service work by offering many features such as a drag and drop work schedule calendar, Google Maps, Google Places address validation and auto-fill, setup recurring work orders, create invoices, convert work orders to invoice, record invoice payments, custom reports, text and email communications, email campaigns, and much more. 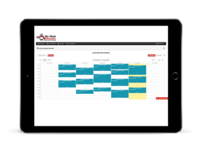 Overall: It is very user friendly and it is fast for me to find previous things that we have done and it is faster to do a schedule once a customer is in the app.It helps us revise schedule faster and to see what we have done for a customer in the past. 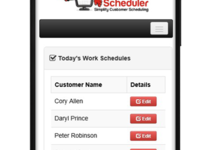 Pros: The employees can view their work load the night before from their smart phone. We also can search details on previous customers when required. We can email our customer notifying them specials, new products, ect. Overall: We now view our customers electronically. 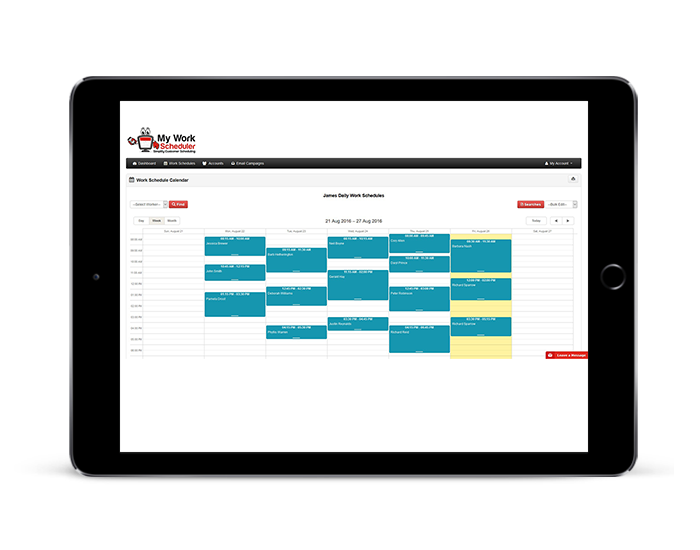 Our installers record their arrival and leave times and the materials used for their installs and service calls. Our office uses this info to invoice accordingly. The software has saved us on paper, ink and printer use. 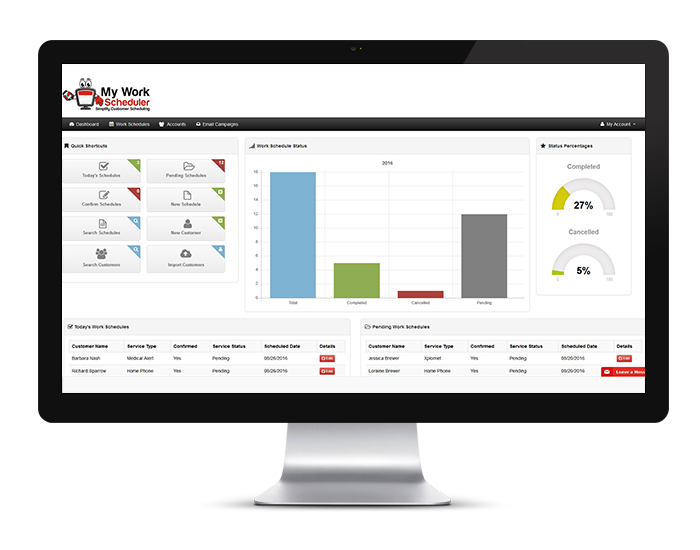 All employees have found the software very easy to use. Whenever we had any question we promptly responded to by phone, text or email. Recommendations to other buyers: Easy of use, software can be used on many devices.